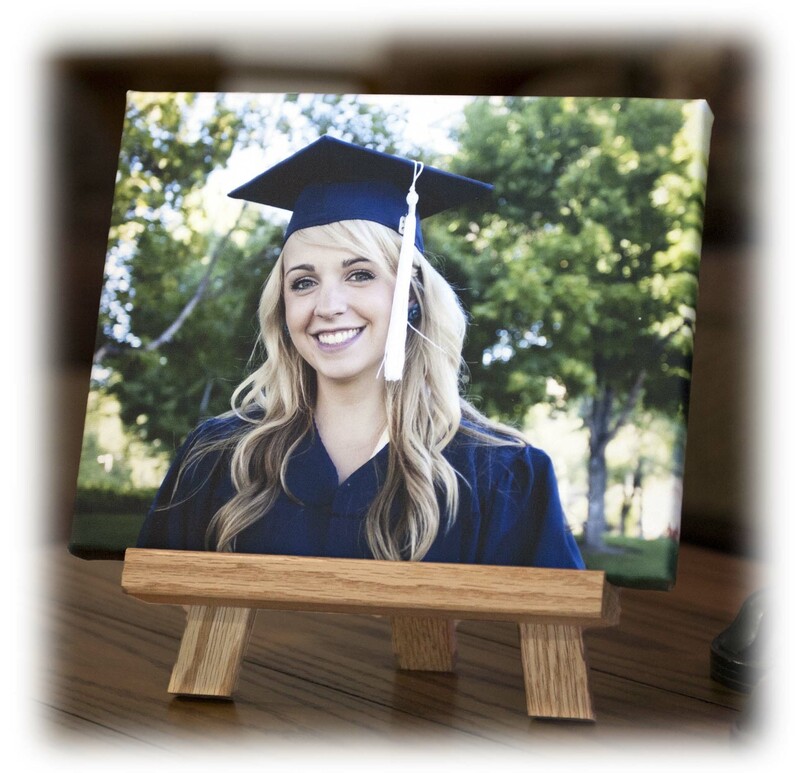 A unique way to display your favorite images! This is an extremely high quality product. 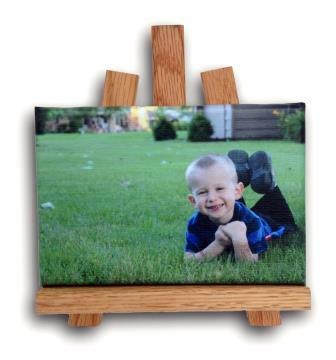 Only available at Shutterbug Printing Specialties. 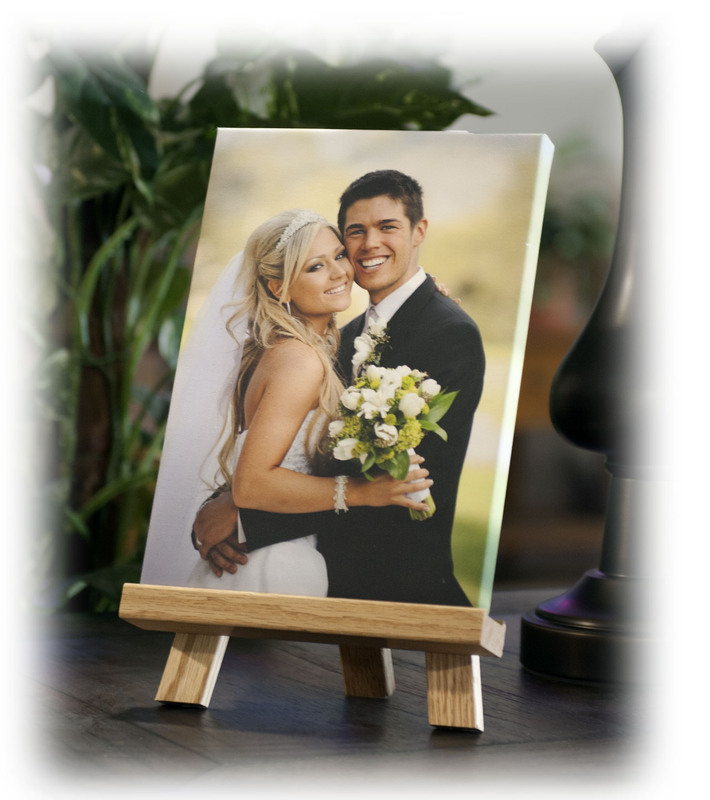 We use our industry leading canvas, matched with satin laminate. 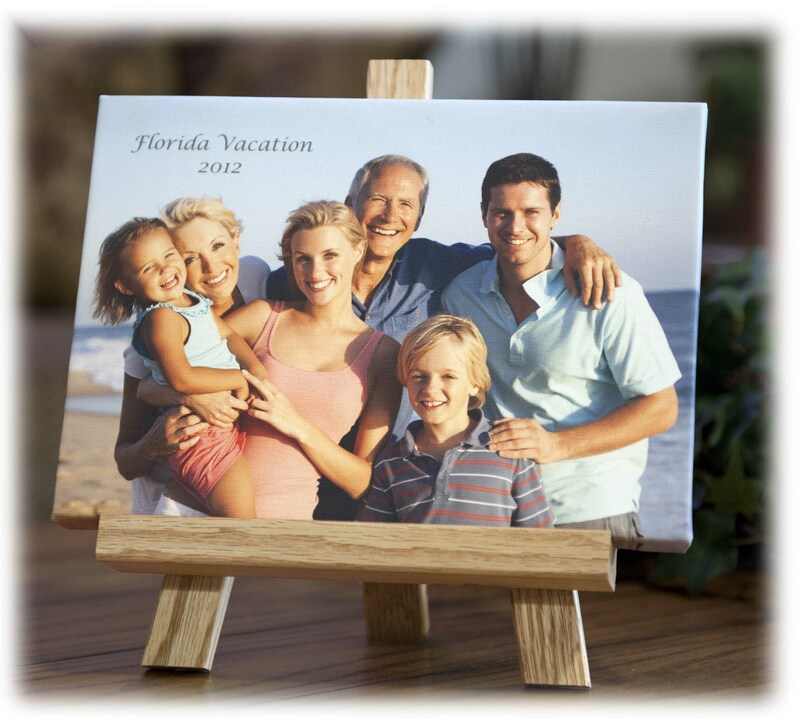 The image is printed, laminated and mounted onto a ¾” thick block. A decorative paper backing is then added. 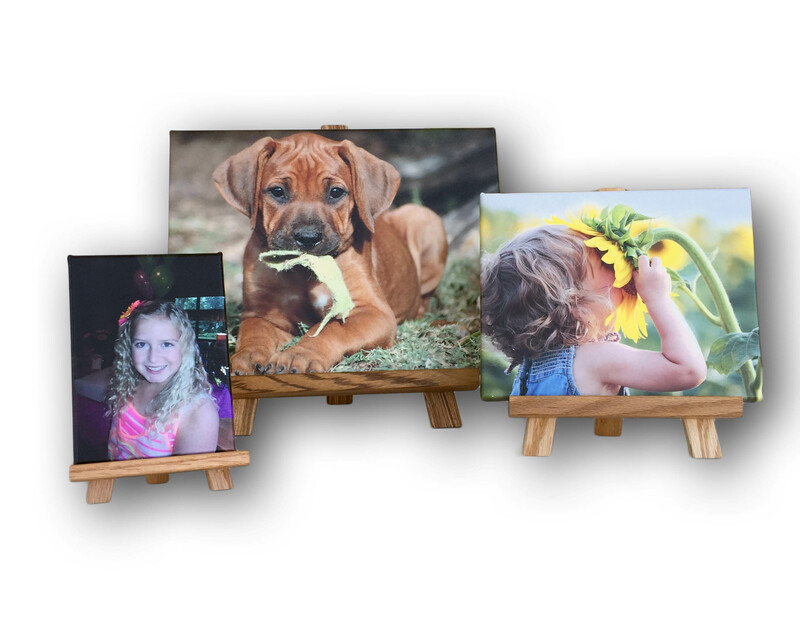 We often adjust the proportions of the product to make sure we display the most pleasing version of your image, all done at no additional charge. 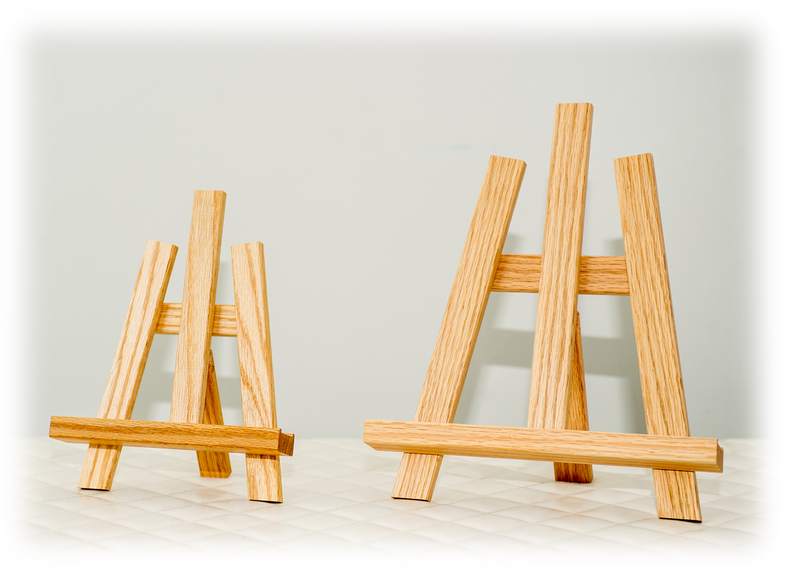 Each EASEL PIC is displayed on a beautiful, natural, red oak easel, hand-crafted in our own wood-shop. 100% MADE IN THE U.S.A. !